« How old were you the first time you smoked marijuana? Which species of marijuana is “auto-flowering”? 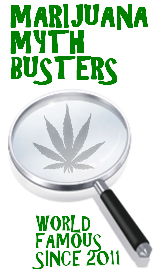 This entry was posted by Mythbuster on February 2, 2012 at 2:19 pm, and is filed under Pot Polls. Follow any responses to this post through RSS 2.0.You can leave a response or trackback from your own site. So about caffeine. I’ve rncteely had to give it up because apparently having 5 bottles of soda and two coffees a day is bad. It was tearing up my stomach and it pained me to eat. I couldn’t stomach anything. So, I gave it up cold turkey because I knew it was the source after looking around on the internet. On my third day of just drinking water, I was falling asleep walking on campus so much that I tripped and had to stop and text my friend to help me back to my dorm. Never knew such a sugar crash existed. Caffeine = bad.Mary Jane = veryyyyy good. Helped me cope and cleared my acne. There is so much going on in this comment. But, yes. Marijuana is very good, and as many believe, good for you too. Did it really clear up your acne? Myth Busted: Can you get high off of resin? Answer this poll if you’ve ever coughed while smoking!! !